The most recent Which? energy company satisfaction survey shows that the six largest energy retailers provide a poor level of customer service, while smaller energy suppliers continue to be rated highly by customers. The overall average customer score was 53 per cent, but three of the the big six suppliers failed to achieve this. Npower continued its six year streak at the bottom of the table with the lowest customer satisfaction score (41 per cent). 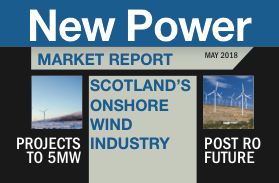 Npower was closely followed by Scottish Power (44 per cent), and SSE (52 per cent). The other big six providers were all within a few percentage points of the average customer score – Eon scored 53 per cent, British Gas 54 per cent and EDF Energy 55 per cent. Which found that 87 per cent of those surveyed still got their energy from one of the big six suppliers, and just 10 per cent had switched in the last year. For the fifth year running, the smaller energy providers topped the table, with Ovo Energy in the lead with 82 per cent, closely followed by Good Energy with 81 per cent and Ecotricity with 77 per cent. From the New Power archives: Energy retailers: how are they changing?